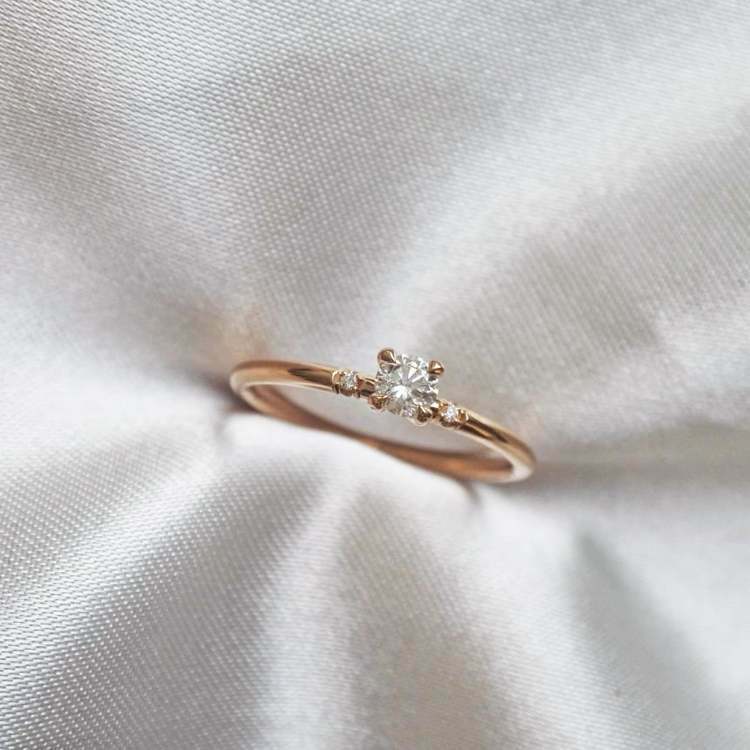 The ring is made in 18K gold (choose between Red (swedish standard), White & Rose gold) with three diamonds. 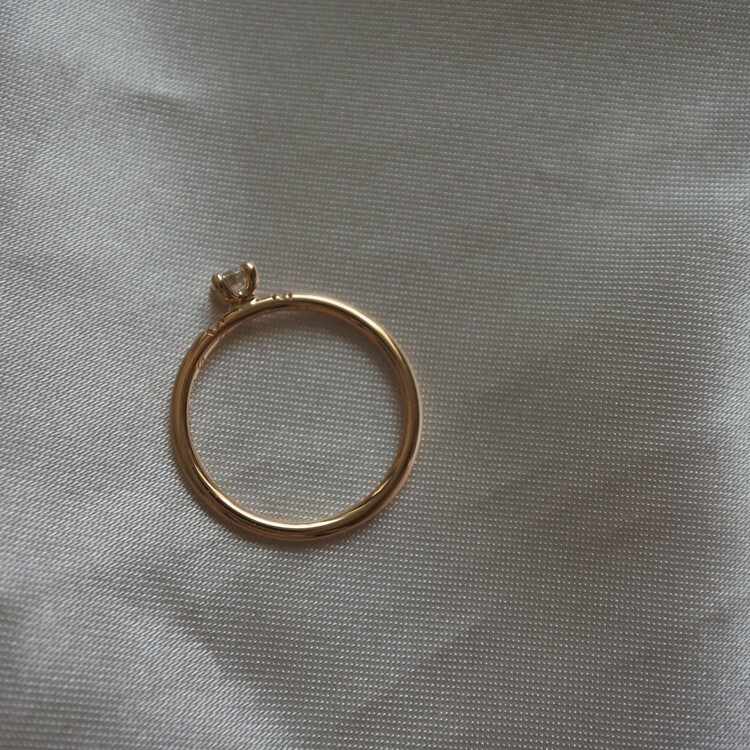 Height & width of the ring is 1,5x1,5mm. 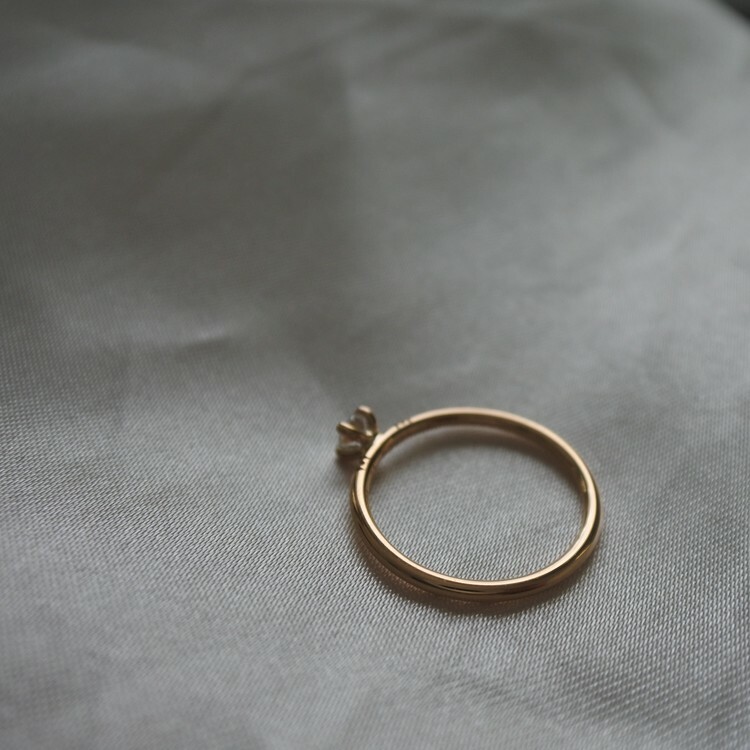 The ringband has a round profile. 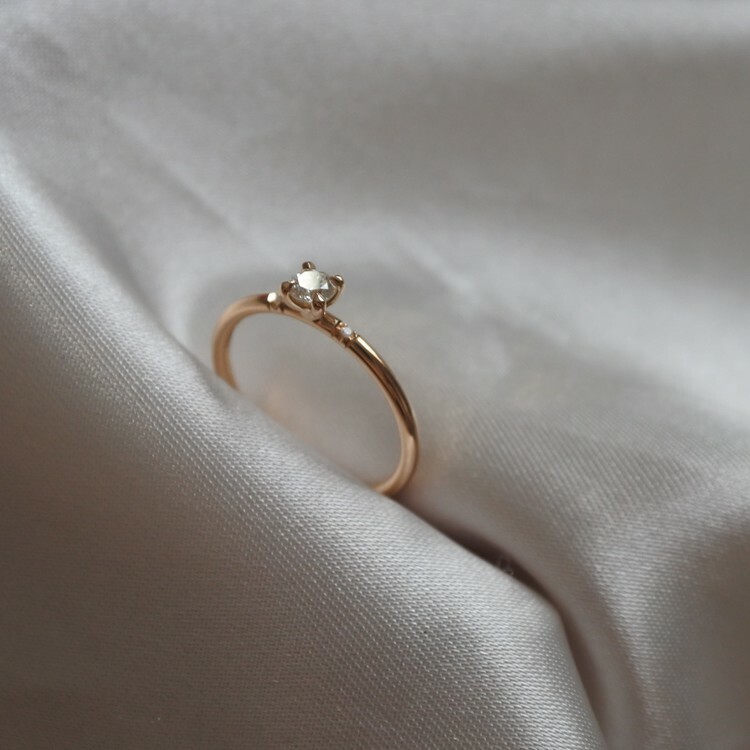 The size of the center diamond is 3.40mm (TW/VS 0.15ct). 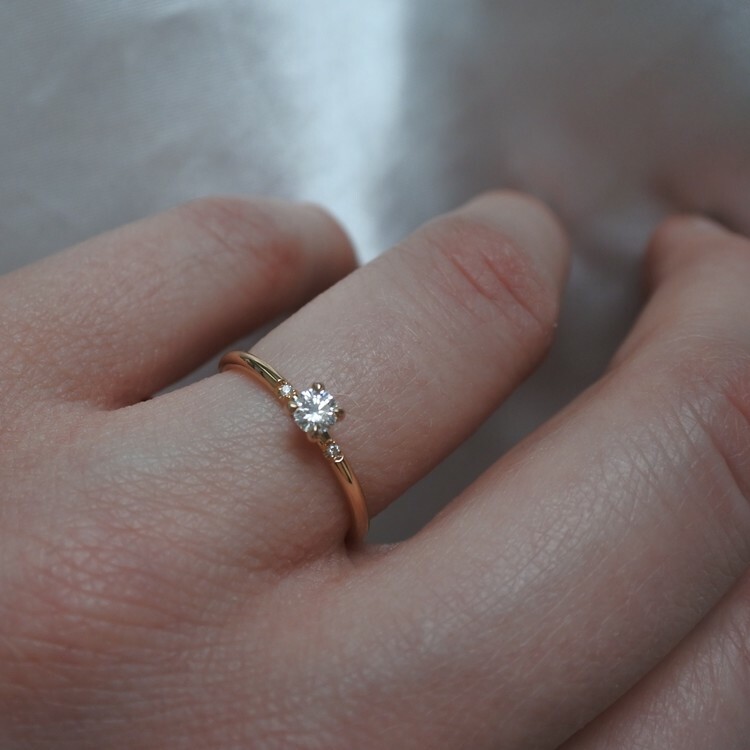 The two small diamonds on the sides are 1mm (TW/VS 0,005ct each).